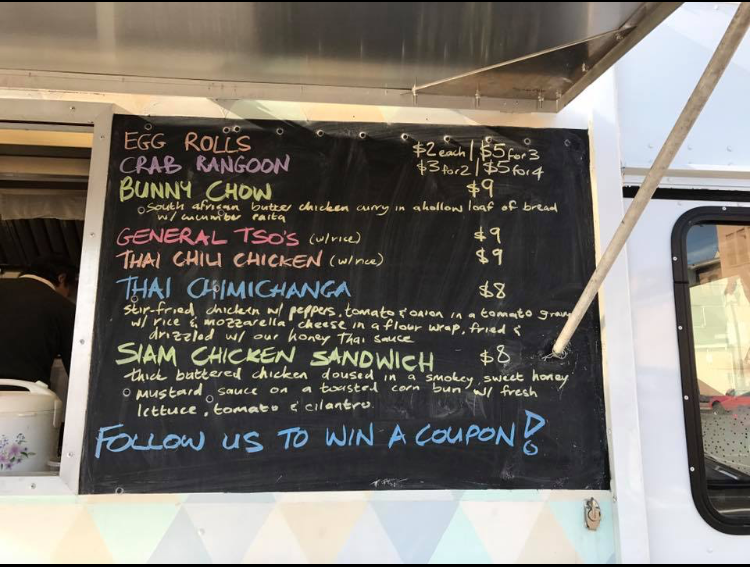 You likely know about my food truck cravings; after all, there’s a whole section of the blog dedicated solely to the mobile dining scene here in Columbus. But I had never encountered anything quite like Fetty’s Street Food when I sampled it last summer at Newark’s Canal Market District. Owner Damian Ettish is churning out cuisine inspired by Indian, Thai, and South African flavors. What is Indian-Thai-South African cuisine? It turns out, it’s savory and scrumptious. If you can’t catch the truck, watch the calendar at The Commissary – Ettish has taught cooking classes there previously. Let’s talk dining. If the egg rolls or the crab rangoons are on the menu when you visit, they are well worth the caloric splurge. Each is served with a sweet and sour sauce for dipping and has a perfectly oh-so-crunchy exterior. Ettish spends hours hand-rolling batches of each item; no machines here. When it comes to the entrees, the portions are plentiful and tasty. Try the Thai Chimichanga, a fried burrito filled with rice, chicken, cheese, tomato, peppers, and onion, then bathed in a tangy Thai sauce. 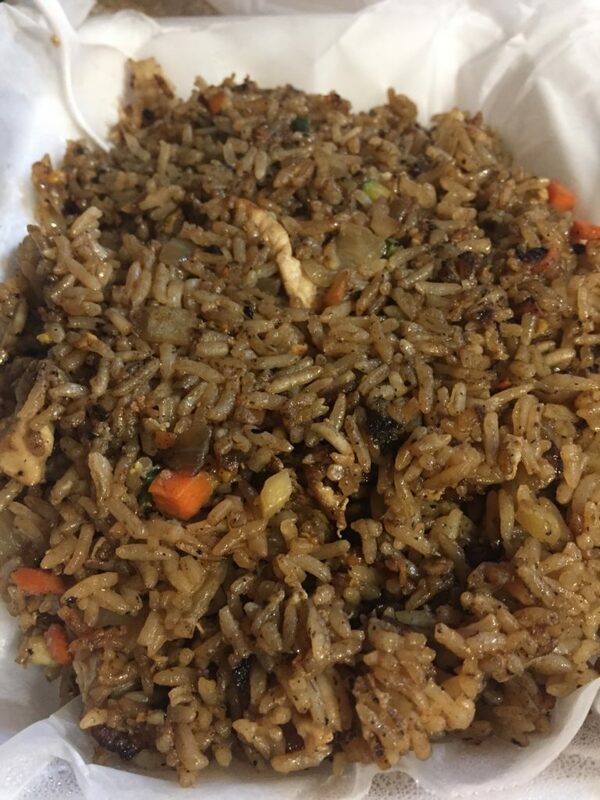 Eastern food purists will enjoy the General Tso’s chicken or the Thai egg fried rice, familiar takeout flavors with a Fetty’s twist. Other selections, depending on the day, vary from an Indian-style Pita (stuffed with falafel, lettuce, tomato, cucumber raita, and coriander-mint chutney) to the Bunny Chow, South African butter chicken curry presented in a bread bowl. Have you checked out Fetty’s Street Food? Let me know your favorite dish in the comments below.